Massachusetts Gov. 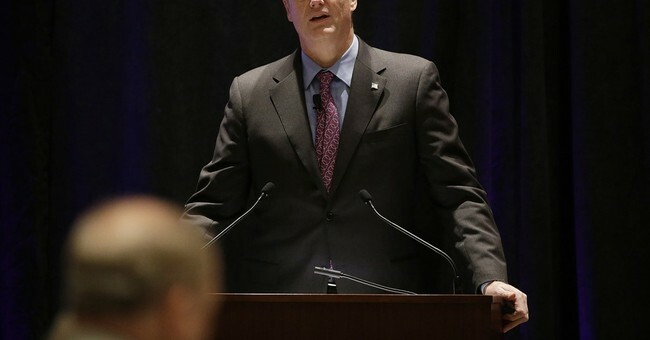 Charlie Baker (R) signed a law Monday that requires the state’s insurers to cover birth control without a copay with just a narrow exemption for churches and religious institutions who might object on religious grounds. The new law is directly at odds with President Trump’s broadening of religious and moral exemptions to the Obamacare contraceptive mandate in October. "This legislation will ensure no woman in Massachusetts, irrespective of what goes on in Washington, will worry about whether her health care services and rights will be affected here in the commonwealth," Baker said following the bill’s signing. The Massachusetts law goes farther than the Obamacare contraceptive mandate as it requires insurers to pay for a full year’s supply of prescription birth control pills after a three-month trial period. Insurers now typically cover only one or three months supply at a time. Planned Parenthood is urging other states to pass similar legislation. “Birth control coverage is still at risk for women nationwide under the Trump administration," Planned Parenthood president Cecile Richards said. "We need everyone — lawmakers on both sides of the aisle, business leaders, artists — to follow Massachusetts’ lead and take action." Massachusetts Attorney General Maura Healey said the law "is about the fact that every woman should have access to affordable and reliable basic health preventative services, including birth control." "The federal administration seems set on taking women backwards, holding them back," Healey said. "It's wonderful to see Massachusetts make a statement that we're not going to stand for it."